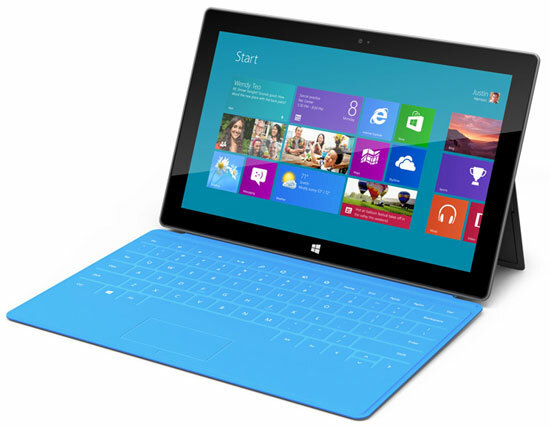 Can Microsoft Surface Compete with iPad? Yesterday, Microsoft unveiled its latest foray into the tablet space with Surface for Windows RT, a tablet operating system, and Surface for Windows 8 Pro, the company’s next-gen computer operating system. It’s not the first time Microsoft has attempted to enter the tablet space, but with Surface the company is on the right track. 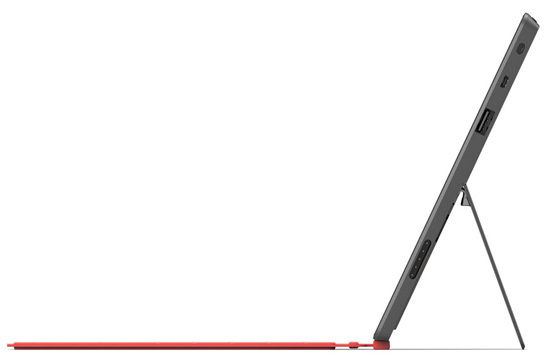 From its sleek styling to its colorful covers, Surface for Windows RT is clearly designed to compete with the new iPad. It has a larger but lower resolution 10.6-inch HD display (1280 x 720 pixels) versus iPad’s 9.7-inch (2048 x 1536 pixels); Surface for Windows RT measures 9.3mm thick versus iPad’s 9.4mm and Surface for Windows RT weighs 676 grams versus iPad’s 652 grams. 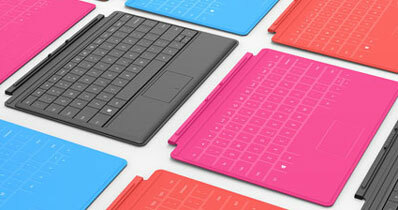 Both versions of Surface bring a couple of innovations not seen on tablets before. There’s a magnetized Touch Cover that doubles as keyboard—the 3mm-thick version comes a printed keyboard and the one that’s 5mm-thick has moving keys for a more traditional keyboard feel. And this pairs well with another innovation: an integrated kickstand for laptop-style computing or viewing videos. Microsoft also included a full-size USB port and microSD card slot. The rest of the specs haven’t been announced, though SlashGear reports that the Windows RT version will use an nVidia Tegra quad-core processor. The Windows RT operating system will have the same Metro-style interface we’ve seen on current Windows Phone devices and is at the heart of Windows 8, which Windows RT is based on. The start screen has tiles that showcase updated information from applications, like current temperature for weather or your next appointment. The concept works well for smartphones and should translate easily to tablets. Of course, much depends on the number and quality of the apps that are developed for Windows RT. But we’ve seen Microsoft ensuring that the big apps, like Netflix and Angry Birds, will run on Windows Phone, and that will likely be the case for Windows RT. Plus, software developers will has an incentive to build for the full Microsoft ecosystem of computer, tablet and smartphone. So I’m cautiously optimistic. Pricing has been stated as being "competitive" and availability for the Windows RT model will coincide with the launch of Windows 8, which is expected this fall. The Window 8 Pro model will ship 90 days later.